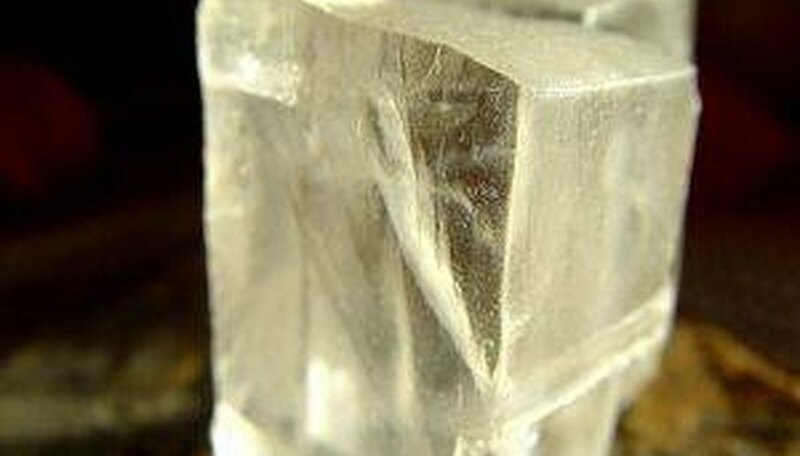 Growing mineral crystals is a simple science project. To make these crystals, a supersaturated solution is necessary. This is made by dissolving a mineral in water until the water cannot dissolve anymore. 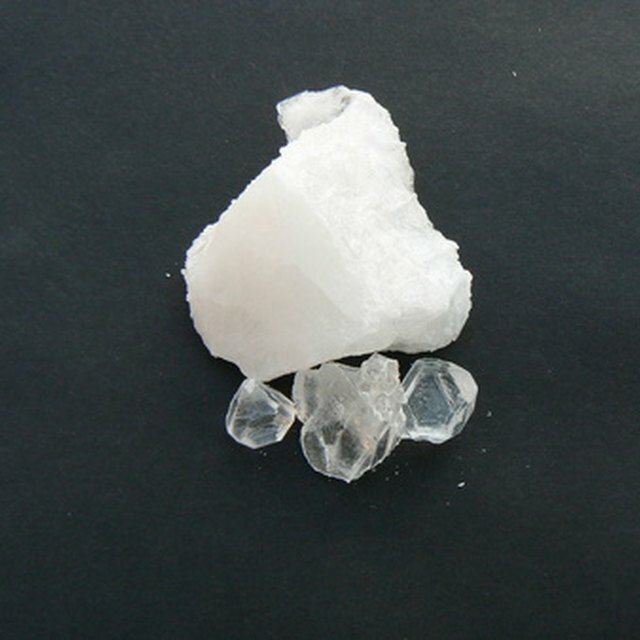 The most common mineral used in home crystal experiments is salt because it is readily available. This is the solution that will grow the crystal. This is similar to how crystals are formed in nature, though sometimes the process takes a lot longer than it will in your kitchen. Tie an 8- to 10-inch length of cotton string around the center of the pencil. Tie the paper clip to the other end of the string to act as a weight. Boil 1 cup of water in the pan. Pour it into a glass jar. Add salt to the hot water one spoonful at a time. Stir to dissolve after each spoonful. Continue adding the salt until there is a small amount on the bottom that will not dissolve. Balance the pencil horizontally across the top of the jar, with the string dangling inside and the paper clip resting on the bottom. Lay a square of cheesecloth over the top to keep dust and dirt out of the salt solution. Evaporation will cause crystals to form within 48 hours on the string. The crystals will grow larger as the rest of the water evaporates. Add a small amount of food coloring to the water to make colored crystals. Instead of string, submerge a porous rock such as lava rock 2/3 in the water. The crystals will form on top the rock. An adult should boil and pour the water. Harrington, Jenny. "How to Grow Mineral Crystals." Sciencing, https://sciencing.com/grow-mineral-crystals-5122696.html. 24 April 2017.